You are at:Home»Reviews»Job Boards»Virtual Vocations Review – Is Virtual Vocations Legit? If you’re keen to find out whether Virtual Vocations is a good place to sign up to find a job you can do from home, this detailed Virtual Vocations review will tell you all you need to know. 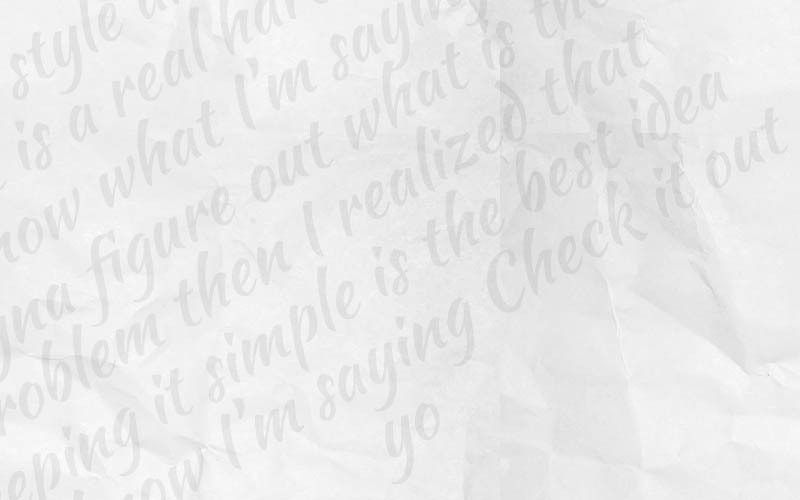 Let’s get straight to the detail. Is it right to pay to search for a job? What kind of jobs are on Virtual Vocations? Virtual Vocations is an online job board specialising in jobs you can do from home. 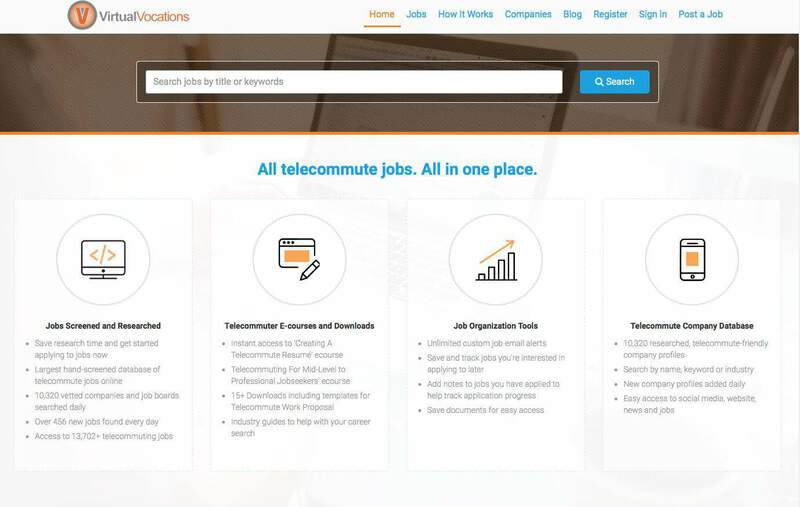 While some deep searching did uncover a few jobs accessible to people worldwide, it’s definitely a service focussed on remote jobs for those in the US. If you’re elsewhere, I’ll save you some time and say that FlexJobs is a better choice. While there is a Virtual Vocations free trial available – in fact a completely free variant of membership, it only really allows you to see the jobs that are out there. If you want to apply to them, you have to pay up for membership. The controversy around paying to find a job is something that doesn’t seem likely to go away. Some people have a moral objection to it, but I think it’s important to keep things in perspective. Yes, there are scammy companies out there that exploit job hunters by charging for (sometimes non-existent) opportunities. Virtual Vocations isn’t a scam, and nor is FlexJobs. 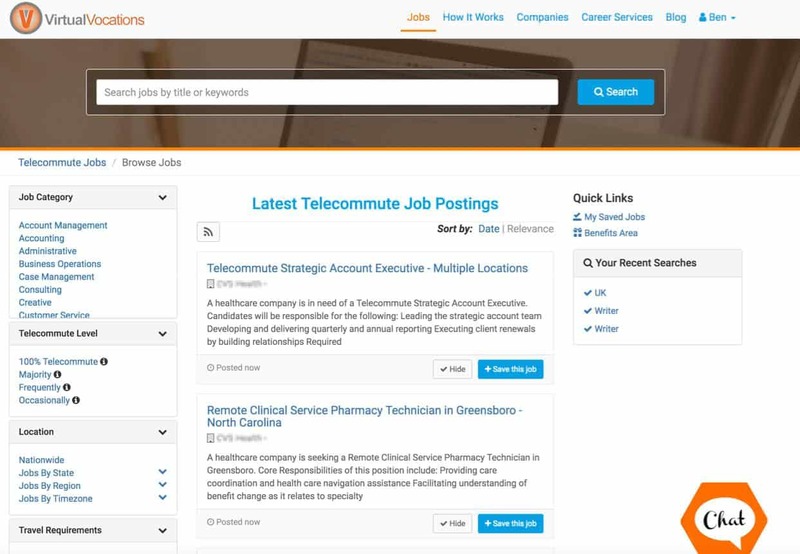 These companies are charging to curate job listings of roles you can perform from home. While there’s nothing to stop you looking for these jobs manually, you’re never going to unearth thousands of companies willing to take on remote workers by casually surfing the net. This is akin to refusing to pay for an album (or for Spotify!) and stubbornly waiting for the tune you want to hear to come on the radio. But, to be honest, unless you have a lot of time and dedication to hunt down suitable remote jobs, there’s nothing wrong with paying around ten bucks a month to streamline the search. As mentioned above, Virtual Vocations does offer a free membership tier. It’s a nice gesture, but it’s kind of pointless, because you can’t see which companies are recruiting for the jobs, or apply for them. One thing that is notable, however, is that there are some decent downloadable free resources, such as telecommuting guides and lists of “entry-level” jobs you can do from home. Ultimately though, if you want to actually find a job with the help of Virtual Vocations, you’re going to have to stump up some cash. The Virtual Vocations cost is $15.99 per month if you want to pay monthly. Prices go down if you commit to longer, with a six-month subscription costing $59.99, which is almost exactly $10 per month. Once again, I feel inclined to say that $60 isn’t much if you find a good job on the service within six months – but I know some people will disagree with that stance! The core function of Virtual Vocations is a job search engine. It’s well organised, and there is a large number of filtering options, including job categories (i.e. accounting, consulting, customer service and many others), employment status (permanent, temporary, independent contractor etc. ), and weekly hours. The latter is particularly useful for those seeking evening or fully-flexible work. The ability to search by “date posted” is handy too, to help ensure you’re only looking at recent jobs and not older listings that may have already been filled. There are plenty of jobs up for grabs on Virtual Vocations. For example, I did a search with four filters, looking at IT jobs, 100% telecommute, no travel, and posted in the past 24-hours. I had 12 pages of jobs to look through. Most importantly, they were accurate and relevant (more accurate than those on FlexJobs when using filters there). I noticed a few well-known company names that were recruiting for roles as I browsed through the listings, which was reassuring. Like FlexJobs, Virtual Vocations definitely excels when it comes to specialist jobs for people with experience. There are plenty of jobs in sectors like IT, accounting and healthcare, for example. A pleasing thing to see was also a strong selection of customer service jobs, and a couple of pages of data entry opportunities. Virtual Vocations is stronger than FlexJobs for these kind of “entry-level” roles. Where Virtual Vocations is weak is when it comes to “independent contractor” gigs – in other words, freelance positions. If it’s freelance gigs you’re looking for, neither Virtual Vocations nor FlexJobs are the best places to find them. You’ll find some better places here. One feature I particularly liked whilst conducting my Virtual Vocations review was the “Companies” tab, which profiles firms known to employ remote and freelance workers. If you’re someone who wants to be really proactive about your job search, this is something you could delve deeply into, and it’s all sorted by industry sector. There’d be nothing to stop you reaching out to the firms directly if you were particularly interested in working for them. The other key features are based around managing your job search, your CV, and your job applications. Features that keep track of which jobs you’ve applied for are more useful. And, like Michelle, I liked the fact you can report on jobs that are “Expired,” “Miscategorized,” “Broken Link” or “Not Telecommute.” Outdated or incorrect jobs are always at the top of the criticism list for those who dislike jobs sites like this, so at least something is being done to reduce them. Nothing in life is perfect, and Virtual Vocations has a few downsides. The first, for me, is the number of emails that the company sends out. Although you can manage your email settings and turn these off, if you don’t, it does feel like you’re being hounded a little! This is especially true if you merely sign up to the free service. I also don’t like the fact that the site has a “Career Services” section, but when you look at it you just discover a collection of “upsell” services, such as those for resumé review and creation, and chargeable work on your LinkedIn profile. While these might be great services (I reserve judgement), paying nearly $300 in “member prices” for a new CV and LinkedIn profile is too rich for my blood! The fact Virtual Vocations is almost entirely limited to US-based jobs is a shame too. While FlexJobs is very US-centric, I saw enough jobs there for the UK, Canada and Australia to warrant at least a look from those locations. Conversely, Virtual Vocations is really only worth subscribing to if you’re in the US. All in all though, if you can get past the fact Virtual Vocations costs a little money, there’s not really that much to criticise. If you feel services like this should always be free, that will be the inevitable downside for you! It’s inevitable that people will compare Virtual Vocations to FlexJobs – they’re remarkably similar services. Having now personally reviewed both for HomeWorkingClub, I think it’s fair to say that they’re both relatively inexpensive, both worth looking at if you’re looking for remote/telecommute jobs and both pretty weak when it comes to finding freelance gigs! 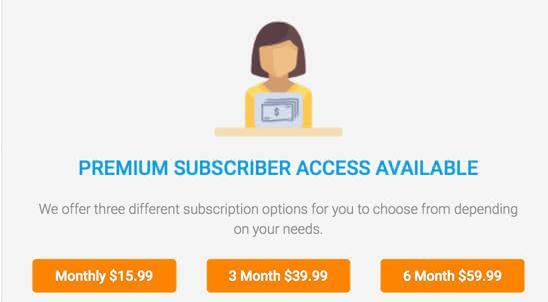 Price wise, both services are within a dollar of each other if you pay for a single month’s subscription (c. $15). The difference occurs with longer subscriptions. Whereas Virtual Vocations hovers around the $10 per month mark for a subscription of six months or more, FlexJobs is much cheaper, and with a voucher code like the one in our review, can end up as low as only a few bucks per month if you pay for a year. So, FlexJobs is generally cheaper. When it comes to user experience, however, Virtual Vocations wins the day. While neither site is completely perfect in terms of search facilities, as discussed in our review, FlexJobs has a confusing interface, with a lot of clutter and superfluous features. Then it swings a little the other way when you look at online reputation (discussed below). 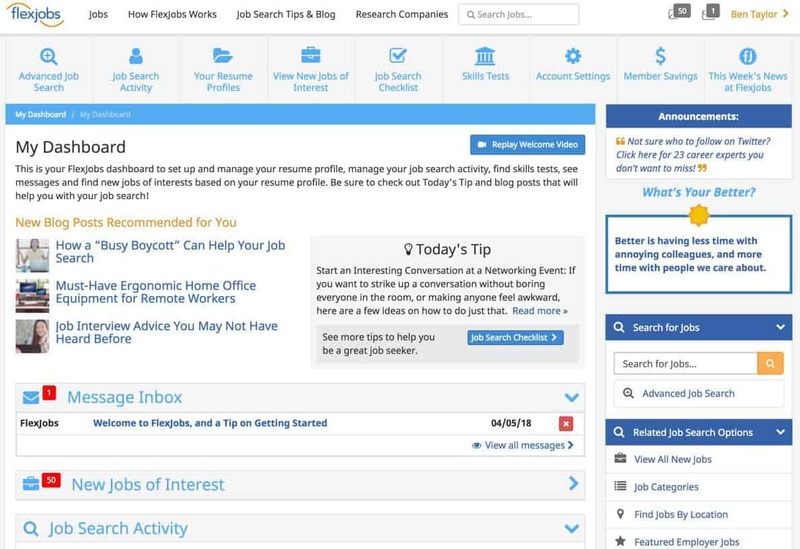 FlexJobs comes out slightly on top there due to overwhelmingly positive Sitejabber recommendations, including plenty from people who’ve actually found a job using the service. Jobs wise, it’s impossible to say which will serve you better. Both feature jobs from household name companies. There’s also every chance there will be jobs duplicated across both services. 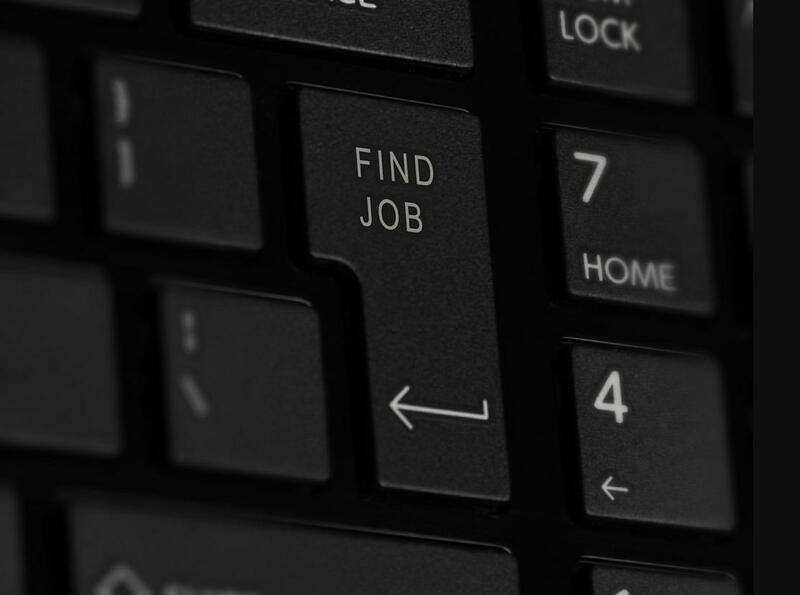 There’s inevitably a lot of luck involved in finding a remote job that’s suited to your skills on the day(s) you’re looking! If you really want to make sure you don’t miss a single opportunity, you’ll probably want to try out both – and spending $15-20 per month in total isn’t really that big a deal if it results in you finding the remote job of your dreams. The Virtual Vocations Glassdoor reviews are all positive, but there’s not that many of them at the time of writing. Generally, however, Virtual Vocations has a decent online reputation, with criticism largely focussed around those aforementioned people who firmly believe companies shouldn’t be able to charge for job search related sites. If I were based in the US and looking for a home-based position, I personally wouldn’t moan about handing over $15 to try Virtual Vocations out for a month. Thanks to the free tier, you can at least take a look at the kind of jobs on the service without spending any money, but you will have to cough up if you actually want to apply for anything. Like FlexJobs, Virtual Vocations is best for those wanting a remote position with a single company. It’s not so good for freelancers. It’s stronger on jobs for those with solid skills and experience, but it isn’t beyond the realms of possibility to find entry-level roles here too. As already discussed, if you object to paying money for a service that curates home working jobs, you’re unlikely to shift from that stance. But if you truly want to work from home whilst maintaining the security of traditional employment, you should give yourself the best chance of finding something suitable. You could well find that something on Virtual Vocations – or its competitor, FlexJobs. Jobs at both expert and entry level. Not much good for freelancers. For writing work specifically, take a look at ProBlogger Jobs, or one of the sites recommended here. Check out PeoplePerHour or HubStaff Talent for a more traditional freelance job board experience. 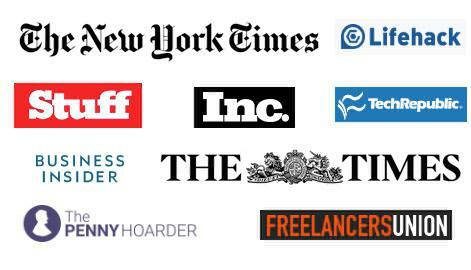 Read freelancing jobs for beginners to find out about how these job boards work. Look at our detailed FlexJobs review for a similar alternative to Virtual Vocations. Great for telecommuters, not so worthwhile for those seeking one-off freelance gigs. 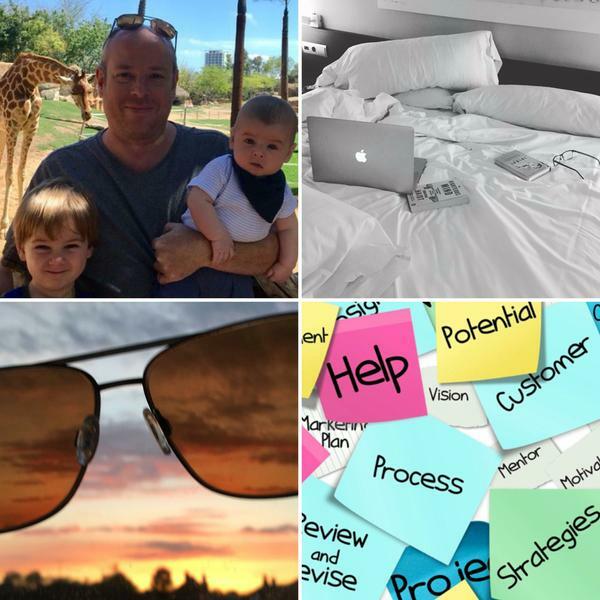 Previous ArticleHow do you Balance Both your Family and your Job? Excellent review. I’m now checking out Virtual Vocations and was looking for an unbiased review. I’ve used FlexJobs in the past. While it boasts many job, most are very very specialized (like specific language UX developer with a masters degree.) On first browse, V V seems to have a broader list of jobs, including many in e-commerce and SEO. Splendid review of Virtual Vocations. Last month I was looking for a website that hosted legitimate work-from-home jobs and discovered Virtual Vocations. However, I was put off by the fee for using the site to look for a job. However, I checked out their information explaining why they charge a fee. It made sense. However, next, I needed to determine their legitimacy. That’s how I discovered your website. Thanks to your review, I signed up with them last month. I landed a job my 2nd day on the site. I went with a company that prospected me at the start of the year. At the time, I doubted their premise of “work from home.” In my field, many companies say that we can work from home. However, usually, it’s a lie. However, thanks to my company being listed on Virtual Vocations, I now knew that their premise of “work from home” was honest. So, thanks again for your review of Virtual Vocations. Thank you so much for your review. I have a job but it’s not in my career field at all. I’ve been out of my career field for 6 months and I can’t seem to find anything. It’s so upsetting. I’m going to try the subscription. Your review convinced me this is a good purchase. Thanks Stephanie, Good luck with your job search! I’ve heard from a couple of people who’ve found new jobs recently. Hi Dom, I appreciate the link but I think this is something and nothing. In fact, Virtual Vocations actually has an A+ rating on the Better Business Bureau, which is quite an accolade! There are always things people complain about and subscription-based job search services always get a hammering because some people straight-up disagree with the whole concept of them (as discussed on this site). Then you have other people who think that paying out a tiny amount of money should equate to a guaranteed job. When you read some of the reviews it’s immediately clear why people didn’t get any of the jobs they applied for – poor English, lack of coherence etc. Paying for a service doesn’t guarantee anybody a job, but from the tone of many of the reviews it seems clear some people think it should! Thank you for your honest opinion and review. I travel for work and a colleague of mine knew I was looking to work from home so he recommended Flexjobs (I stumbled upon VirtualVocations). Working from home can allow me to pursue starting/building my business. That being said, I don’t mind paying a small fee if the services is legit. What you posted here makes perfect sense. You just sealed the deal for me. I will be subscribing to both. I will definitely keep you posted “when” (thinking positive) I land that perfect job for me. Thanks again and continue to be blessed! Must you live in the US to be hired? I am an American and Mexican citizen and spend part of my year in Mexico. Would my stay in Mexico impact my chances of finding a job on this website (if I choose 100% virtual/no travel). Virtual Vocations does lean particularly in the direction of US-specific roles. FlexJobs is a little more global. In terms of spending half of your time in Mexico, I’d say one strategy for that would be to apply for jobs when you’re going to be spending a prolonged period in the US, then broach the subject of spending some of the year in Mexico once you’ve already got a job and a strong relationship with your employer!